can somebody of you explain me the difference of the SVN and File Repository concerning Polarion? What is saved in the SVN and what in the file repository? Data storage in Polarion is divided in two parts: First part is Subversion, where all the data is stored for good. Because Subversion is really bad when you want to find things fast, Polarion builds up an SQL database where all the data from subversion is represented in tables for fast access. 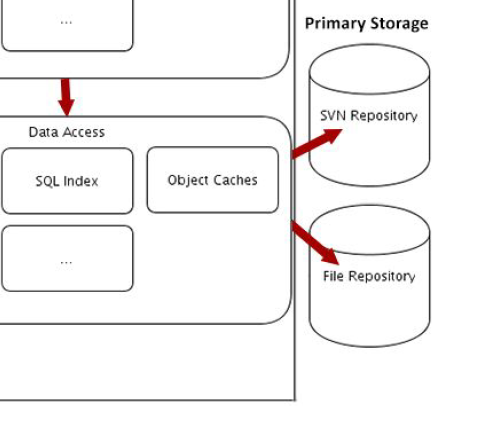 The database itself is not stored in subversion, but in a folder next to the SVN repository. Thus you have two big data folders in Polarion. Additionally some of the data is not stored in Subversion, for example the access rights for the Subversion repository. Also the user settings for the GUI (like default search queries, personal settings... ) are not stored in subversion, but in a separate folder on the disk.